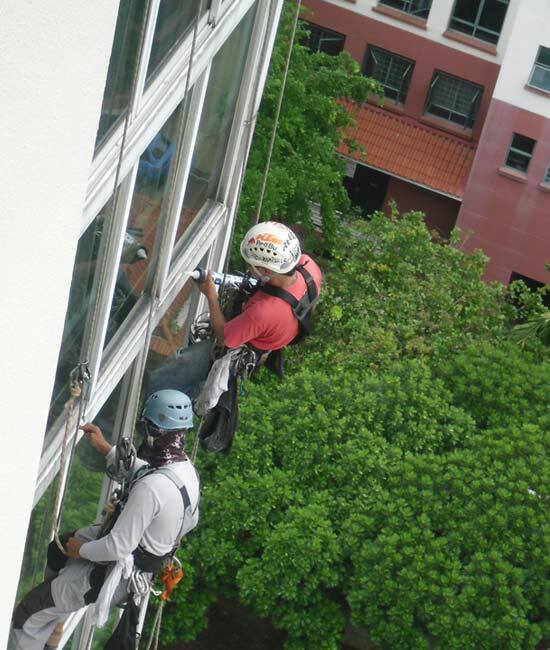 Our rope access team provides wide range of services to a variety of domestic, commercial and industrial customers. 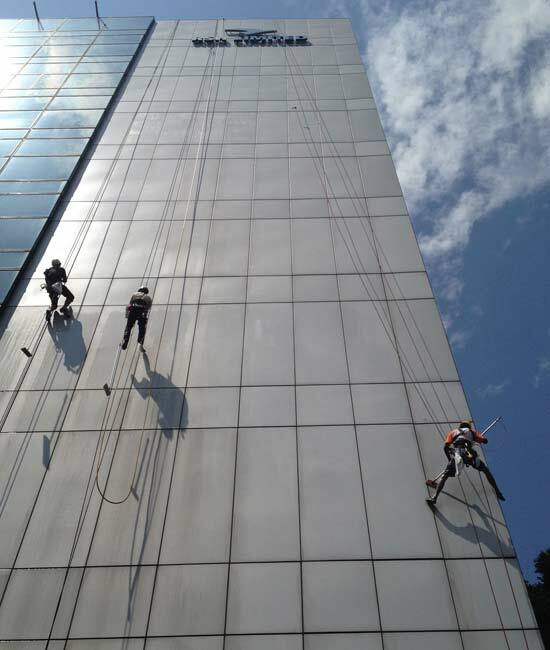 With the need to manage budgets, rope access is now a cost effective means of work positioning for a wide range of tasks. Idea for use to cleaning of wall cladding, windows and waterproofing treatment to window frame joint. Copyright © 2013. Eternity Waterproofing Pte Ltd All rights reserved.